We are always looking for new inspiration in the kitchen. The hubby and I love to take classic dishes whether Mexican, American or Italian or (well, you get the picture) and switch it up a bit. This is what we did wit our Sopes with Chicken Tinga and Baby Bok Choy. Chicken Tinga is a classic Mexican dish of shredded chicken in a tomato-chipotle sauce. 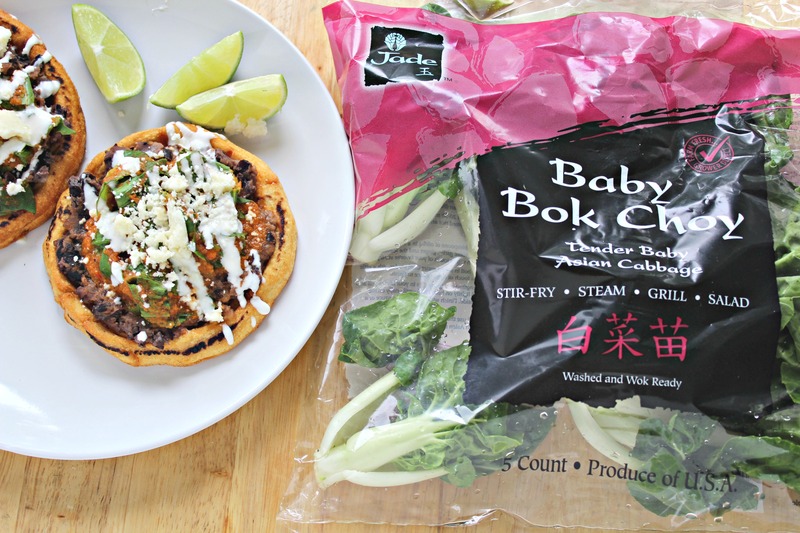 Here we include baby bok choy, and then layer it with black beans and cheese onto tender sopes (fried corn dough). A final drizzle of Mexican crema finishes off this delicious meal, which would be a perfect lunch or dinner. You can find our recipe at the Jade Asian Greens website. We’ve mentioned it before, but we believe Jade Asian Greens Baby Bok Choy is one of the most nutrient-dense vegetables in the world with tons of versatility. 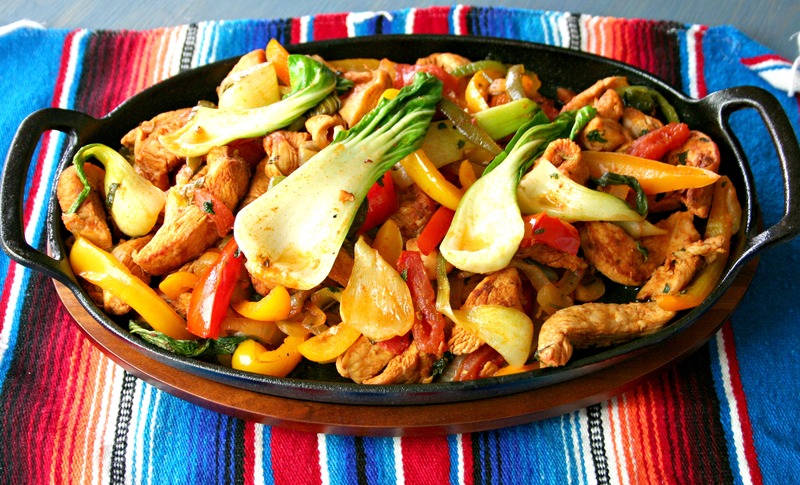 We’ve used the baby bok choy to make chicken fajitas, al pastor tacos, and so much more. 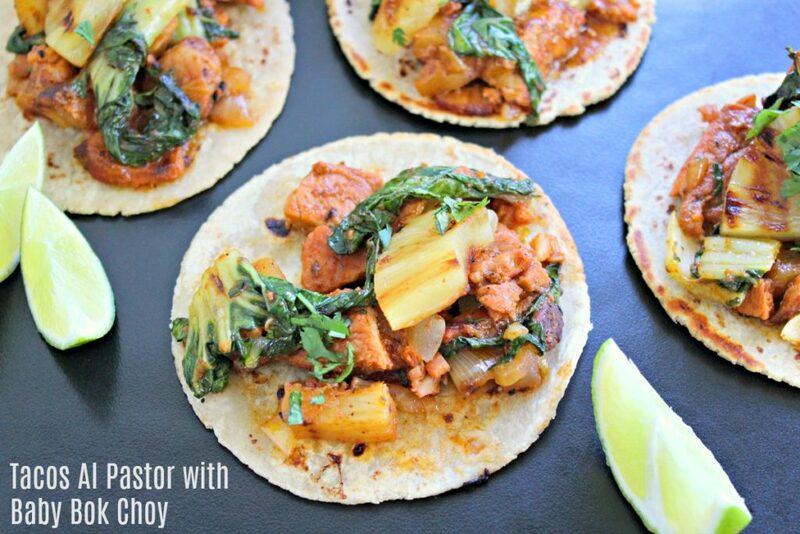 Take a look at the scrumptious photos below of the Tacos Al Pastor with Baby Bok Choy and Chicken Fajitas with Baby Bok Choy. You can also find both recipes at the Jade Asian Greens Website.